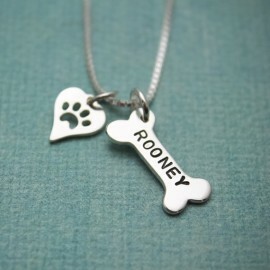 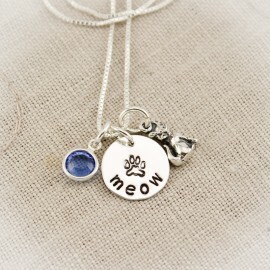 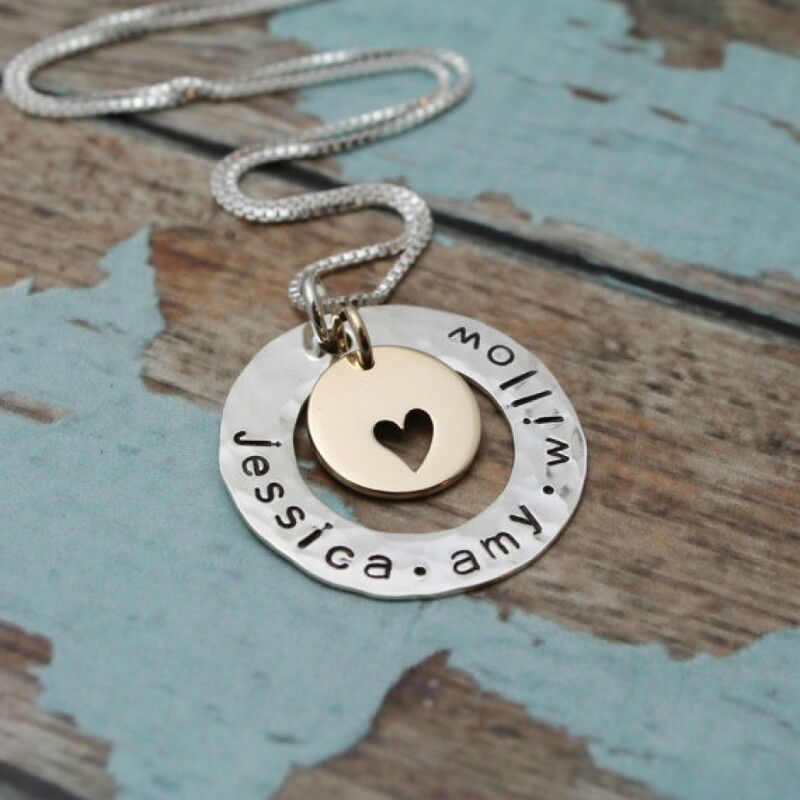 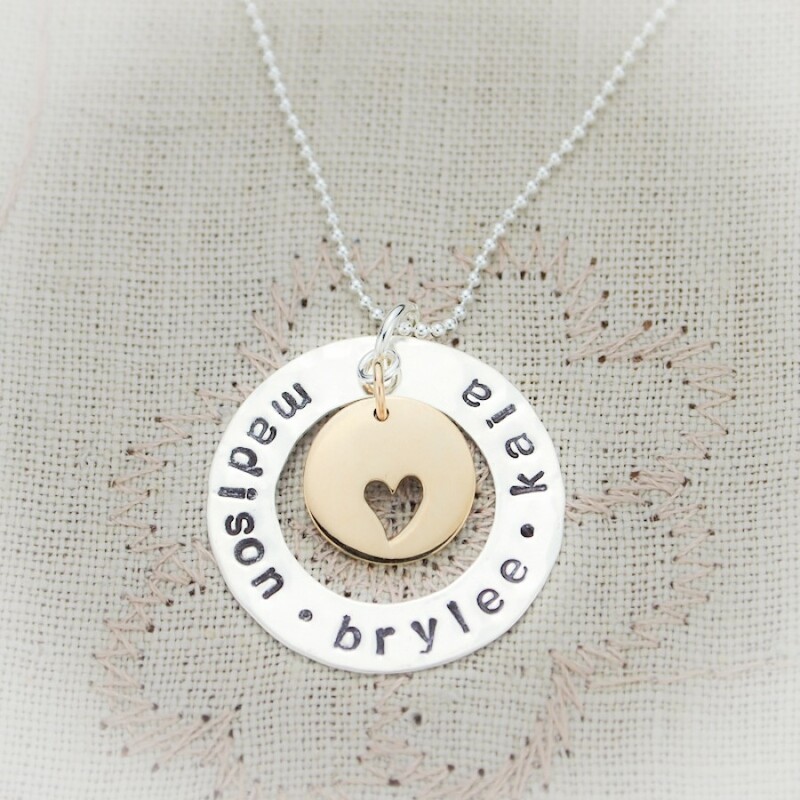 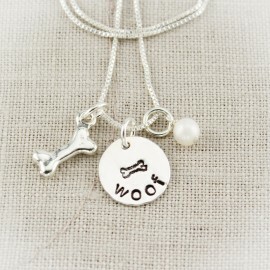 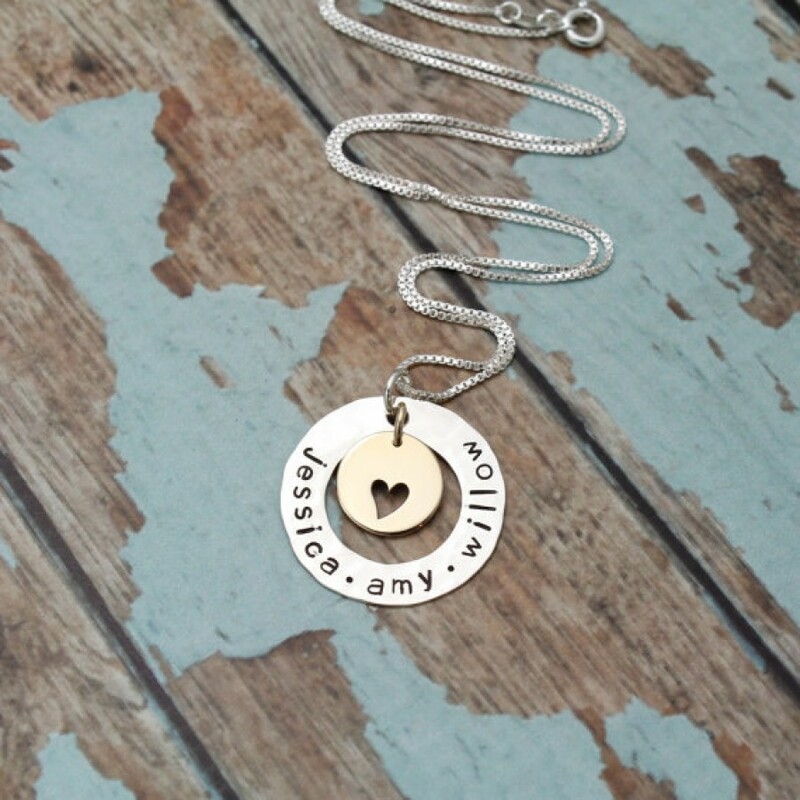 An open circle, hammered and personalized with the words or names of your choice. 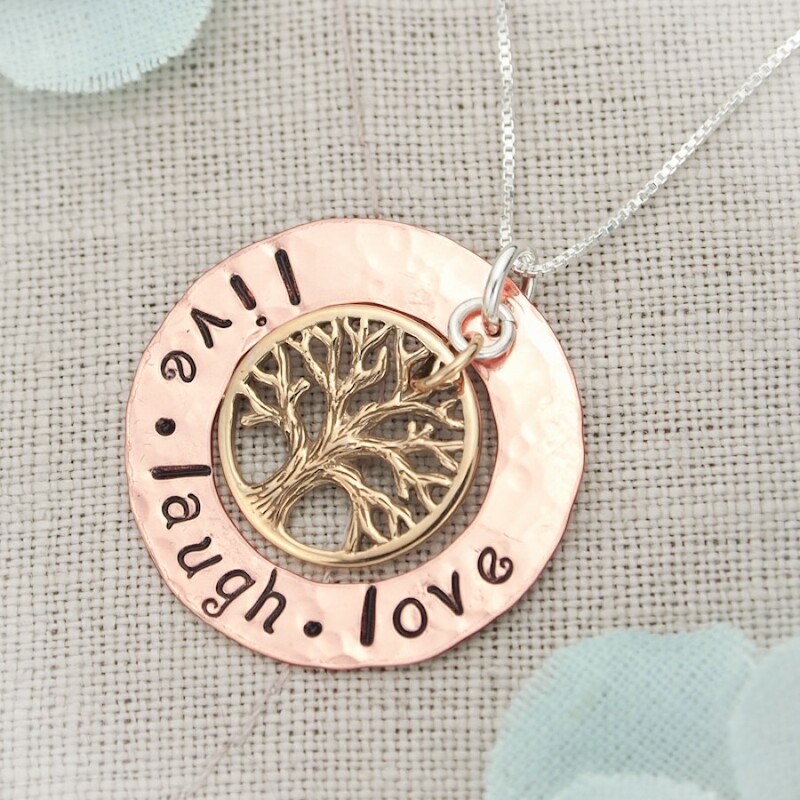 Available in copper or silver. 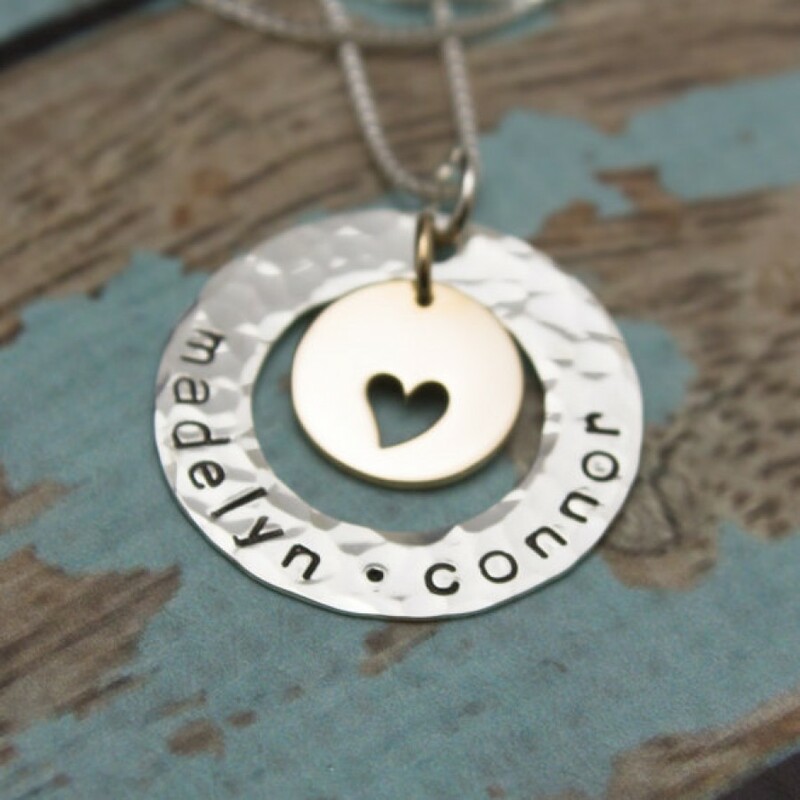 Charm of your choice adorns the center of the circle. 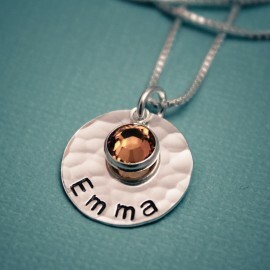 Add birthstones to represent each loved one.